At Palo Alto Networks, we are on a mission to maintain trust in the digital age by preventing successful cyberattacks. Cybersecurity has some of the most challenging problems to solve and requires the most creative brains to drive solutions. The more we can build teams of people with different educational or professional backgrounds, from different cultures, who speak different languages, the better we are equipped to build creative solutions to the toughest cybersecurity problems. Encouraging more women and students to pursue careers in security is one way to build a more diverse pipeline. 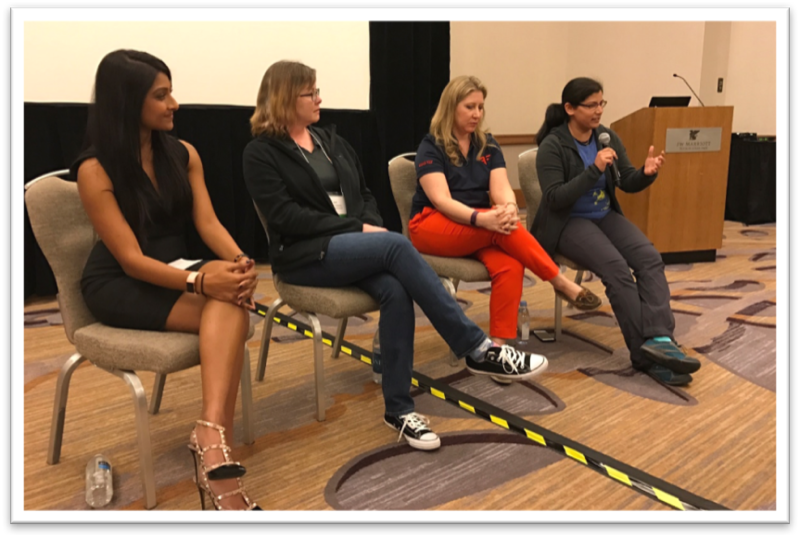 The Palo Alto Networks team had a great opportunity to do this at the recent Women in Cybersecurity (WiCyS) Conference 2017 in Tucson, Arizona. Nearly 1,000 women attended WiCyS 2017, and they drove the success of the conference. How? The attendees – a diverse mix of women ranging from students (including Master’s and Ph.D. candidates) to members of academia, the military and leading companies, all with different backgrounds and experiences – brought their true selves, whether through their genuine curiosity, mentorship or simply their passion for cybersecurity. The impressive group of attendees came prepared to actively participate in the inspirational conversations, and I am proud and humbled beyond words that these are the women who will soon be changing the industry mindset and adding their diverse thought leadership for continued innovation in cybersecurity. The purpose of conferences like WiCyS is for us to share our stories. For current practitioners in cybersecurity, I believe an important part of the job is for us to share highlights of what we get to do and what we learn on a daily basis to protect ourselves and our organizations. Being a speaker at WiCyS brought me back to the beginning of my own career, when I was a recent graduate with a computer science and engineering degree, uncertain of what I really wanted do. At the time, no one knew what cybersecurity jobs looked like. Role models were scarce, and I was lucky if there was another woman on my team. Fortunately, I had a few excellent managers and mentors, both women and men, who guided me and encouraged me to take risks and follow my instincts. Months before WiCyS, the Palo Alto Networks team helped me think about my session talk track. They listened to my stories over and over, gave their feedback, and told me which lessons resonated most with them. Many of them shared their stories and battle scars with me. When I finally shared my personal journey at the conference, “The Power of Perseverance: Embrace the Discomfort,” I was carried by the strength of everyone who had invested their time in me. You can see that this teamwork and support is essential for all of us, whether we’re just beginning our careers or we’ve been immersed for a while. I also had the opportunity to moderate a panel session, “Stories From the Battlefield: Cybersecurity Incident Response,” with some very talented women. The panelists included the InfoSec team’s principal Red Team engineer; a member of Unit 42 (the Palo Alto Networks threat research team); and one of our partners from Bishop Fox, a leading security consulting firm specializing in assessment and penetration testing. Even though it was late in the day, the room was packed to the brim and attendees eagerly listened to every word the panelists shared. Many in the audience had poignant questions for our experts. 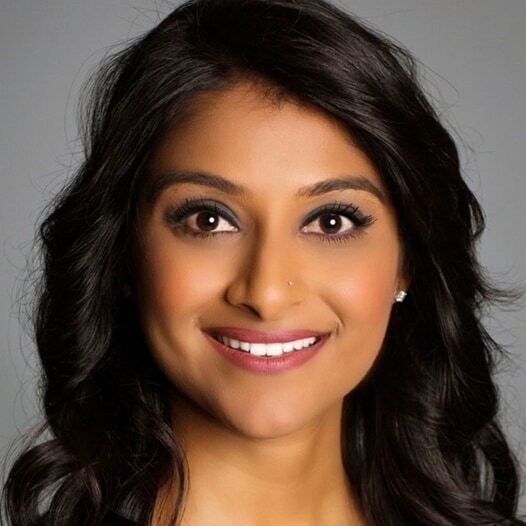 According to The 2017 Global Information Security Workforce Study: Women in Cybersecurity, women are globally underrepresented in the cybersecurity profession at 11 percent today. But with conferences like WiCyS, I can sense that there is change driven by genuine passion. There is so much we can all do to make a difference and encourage more women to join us in cybersecurity. I’m personally excited that there will be many more stories to tell along the way!